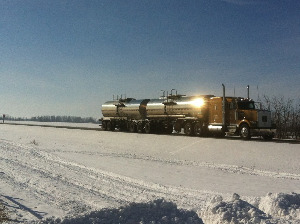 Transports in Canada information - Liquids in Motion Ltd.
With locations in Millet, Alberta and Calgary, Alberta, the Canadian Division of Liquids in Motion (LIM) provides both highway and off-road bulk transportation services 24 hours a day, seven days a week. Although we primarily service western Canada, including the provinces of British Columbia, Alberta, Saskatchewan and Manitoba, we also travel to Vancouver Island, Ontario, Quebec and the Maritimes on a regular basis. 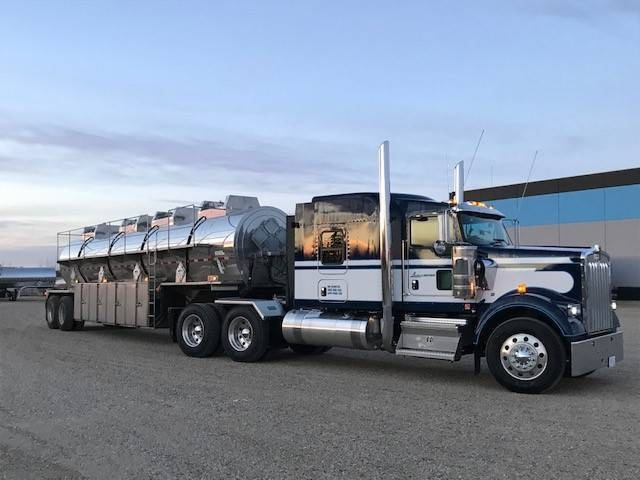 LIM has a great variety of specialized equipment to meet all of our customers’ requirements, from Body Jobs to Super B trailers as large as 40,000 kg (88,000 lbs). We are also equipped with vacuum trucks, a heated van to handle such items as totes and drums, and a small flat deck for emergency hot shots. 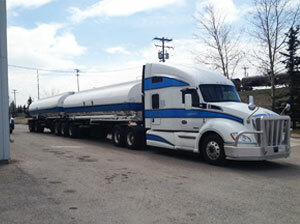 All stainless steel trailers have in-transit heating capabilities and our trucks are equipped with pumps and compressors to meet all specific loading and off-loading product requirements.